I came across a very interesting case a few days ago, concerning Toyota and a legal translator who decided to reveal documents and internal memoranda to which she had become privy, in what she felt were the interests of public safety. Her decision followed a number of unintended acceleration incidents involving Toyota vehicles, in which people were injured or even died. Below you can find the reference of an article (access via EBSCO/your own library – the Asia-Pacific Journal website has been compromised) including details of the case by an academic and journalist who contributes to some leading publications, such as The Economist. You can read the translator’s personal statement here. Updated 3 Jan 2017: The National Law Journal published articles (access through LexisNexis): “A Translator Who Talked: And who posted Toyota’s secrets on the Internet.” and “Toyota Nears Settlement with Blogging Translator”, both by Amanda Bronstad. In my opinion the above is a highly interesting ethical dilemma. I’d love to hear your comments and get a discussion going about the issue of legal translators and whistle-blowing. David McNeill, “Cover-Up: Toyota and Quality Control,” The Asia-Pacific Journal, Vol. 11, Issue 36, No. 1, September 9, 2013. To me there was clearly an ethical breach by the translator, but I guess she felt morally obliged. The article didn’t make it very clear to me how incriminating the documents leaked were, however, I think that if the translator did believe that she had a moral obligation to blow the whistle, she should have notified the authorities, and not leaked corporate documents to journalists. As I legal translator, I’ve seen quite a few documents that I consider morally questionable, but ethics has prevented me from taking matters into my own hands. Thanks very much for kicking off the discussion Manuela. I understand that as an interpreter/translator I have ethical obligations, but as a human being I have MORAL obligations which sometimes supersede ethical concerns. During my career there have been countless occasions where I have interpreted for witnesses who I know are lying, and I have been privy to conversations where very unethical and even illegal instructions have been given to people through me. Am I supposed to keep quiet when an inmate tells a lawyer to have a witness bribed? How about threatened? What about killed? Where do I draw the line? I understand that Ms. Benjaminson was pushed to that line and then beyond it, and she did the right thing. Would you feel differently about “whistleblowers” if we were talking about someone who was translating correspondence between the operators of the Nazi Death Camps and their equipment and gas suppliers and decided to tell the world what was happening? That being said, I also believe that unemployment lines and even some jails are full of people who have done “the right thing”! 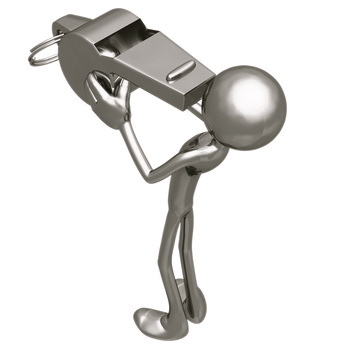 We act in accordance with our conscience but we have all witnessed over the past few years how whistle-blowers are treated and it’s enough to stop many in their tracks. I would be interested to know what actions, if any, Toyota took against this translator. All our work as translators and interpreters comes under the protection (for clients) of confidentiality and it would take proof of blatant criminality to break that trust and only if it was in the public good. This is a question to ask a lawyer, not translators, I think, or even lawyers since legislation is different in every country. At first sight, I would say that if the translator has signed a Confidentiality Agreement/Non Disclosure Agreement, he is legally stuck. He takes the risk of violating a signed agreement. Otherwise, legally, he does as he wishes (in my opinion as a non-lawyer). The question is also: could he be punished if he didn’t blow the whistle, as a co-author or accomplice of the wrongful deed to come or that is happening? Is he the person without which the wrongful deed would not have been able to take place? Thanks a lot for this Isabelle. Crucial points, I think. Well, there are the times when moral obligations becomes more important rather than focusing ethical issues and the same with this case. I would suggest to consider from both point of views and then only one should move to conclusion. To answer Turkish’s question, Toyota has not taken any action against me other than to ask Facebook to remove the link to the Dropbox folder where I published the documents. (That was not really effective because the link remains available on YouTube.) The translation agencies I worked for have been silent. There are nearly 500 pending wrongful death lawsuits against Toyota for sudden unintended acceleration. There is compelling evidence that Toyota lied to the public, Congress, the regulators, and victims. In prepartion for an upcoming wrongful death trial in Michigan, a pedal suspected of being full of short-circuiting filaments known as “tin whiskers” was opened to be examined by experts as evidence. One of Toyota’s experts dropped his iPad on this open pedal. Such conductive filaments have been found in a number of pedals by experts. One expert also recently found evidence that similar filiments could grow inside a Toyota ECU (Car computer that runs the main software that operates the car. ), potentially causing short circuits there too. A recent Oklahoma trial with verdict against Toyota for a wrongful death also brought to light the massively defective software and failsafe systems in the Camry. The software’s poor quality (“spaghetti code”) and inadquate fail safe (“house of cards”) were directly blamed by the expert who had examined them for the acceleration that lead to the death. The documents I worked with compelled me to act when I also learned from the public record that the problem was ongoing….and still is today. Anyone concerned about the lack of government protection of consumers vis a vis Toyota’s electronics is respectfully advised to contact their Senators and U.S. Representative to voice their concerns. Only when Congress understands that the public demands this protection will the protection be put into place. As far as whether I would be punished for helping a conspiracy, …I don’t know, but in this day and age, it seems to me that even the inner circles of corporate executives who perpetrate many terrible conspiracies/frauds against consumers are rarely prosecuted. I would worry far less about that than about the victims. Whomever is in a position to help victims of corporate greed should do so. If enough of us did this, it would make a difference. Hi – I’ve just come across this and am very interested in the article (and the translator’s personal statement) – could you repost the links, please? Thank you! Update done Amanda! Thanks for your interest. Thanks very much indeed, Juliette.